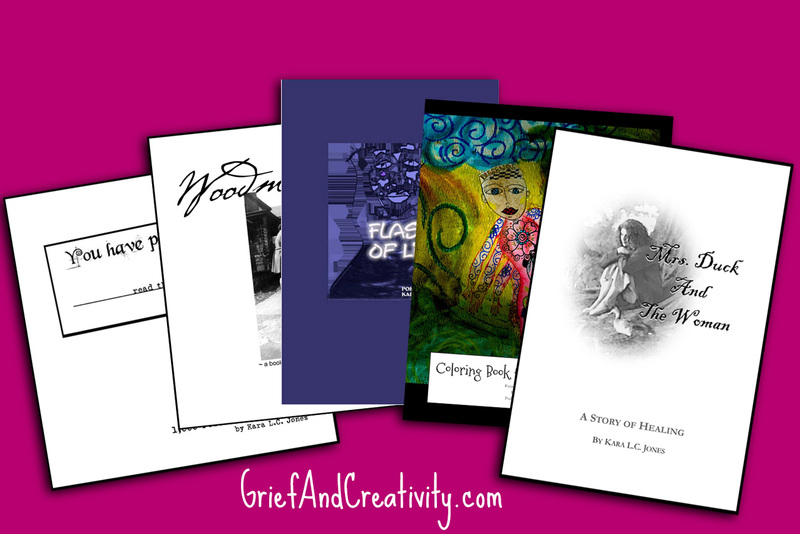 Even if you're not an artist, you can begin creatively exploring grief with some of my favorite FREE content! Please note: If you do not get your freebies within 24 hours, please click here to email me! Get your free 40 page excerpt of the 1000 Permissions book immediately + get first notice of new freebies and offers in the furture via our ezine. This excerpt is different than others offered publicly in that these 40 pages have been hand picked to feature the permission slips related to creative grief experiences specifically + it includes blank slips so you can cut out and create your own permissions. 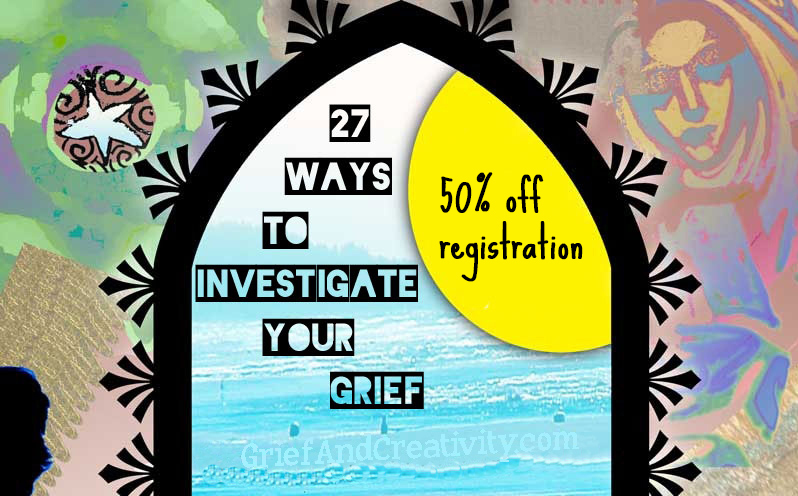 Get a code for 50% off of the $27 enrollment fee for our 27 Days To Investigating Your Grief course + eZine updates about new courses including give-away offers and more in the future. The 27 days course gives you an opportunity to investigate your grief experiences. Grief can be many things for each of us. Overwhelming. Confounding. Breaking our hearts open. And more. The creative prompts offered in this online, self-directed course aim to give you opportunities to enact a different approach to your relationship with grief. 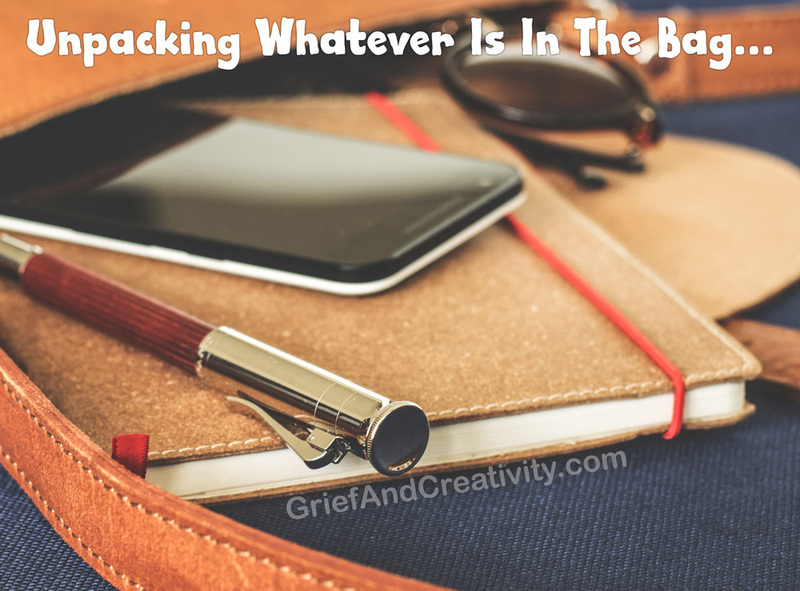 Get your free copy of our creative grief worksheet exploring “Unpacking Whatever Is In Our Grief Bag” which has only ever been offered exclusively to our eZine readers. And you’ll get new, exclusive worksheets free each month + subscription to our Creative Sparks ezine as a continued thank you for your readership. Some of our books are available for purchase, but don’t miss out on the free eBooks available in our Shop, too. Some of those free eBooks even include print and distribution rights should you want to share them with your grief support groups.